Join Me for the Simple Holiday Prep Challenge! 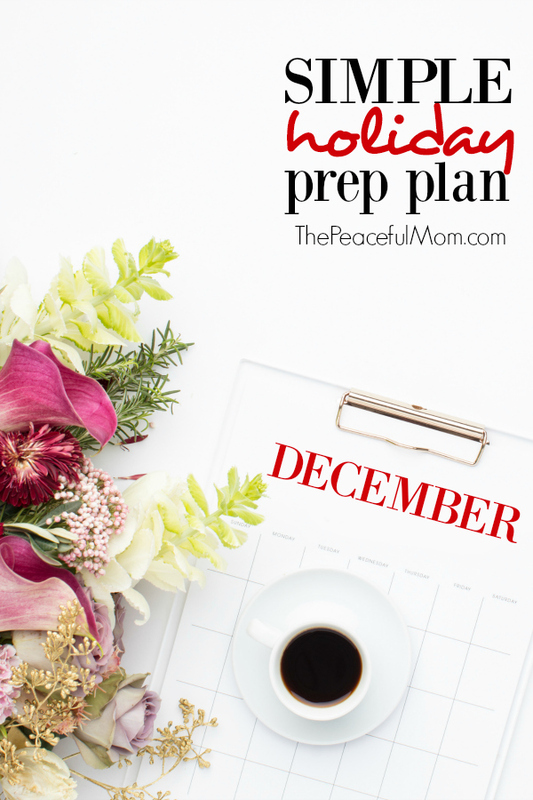 Join me for the Simple Holiday Prep Plan and destress the holidays! Do you ever feel like the holidays sneak up on you and you end up over stressing and over spending? For the next few weeks I’ll be sharing my best secrets for saving money and limiting stress during the busy holiday season. Make sure you’ve joined The Peaceful Mom Community HERE so you don’t miss anything — including my exclusive Happy Holidays Planner! The first part of our challenge will be doing a 31 Day Declutter — one item or 10 minutes a day in 31 areas for the next month. SO simple, but SO life changing! 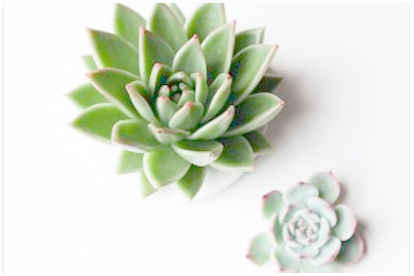 Once you’ve joined the community (linked above), you’ll receive a welcome email with your link to the Resource Library where you’ll find the 31 Day Decluttering Checklist and more awesomeness! Leave a comment below to let me know your biggest struggle during the holidays and/or preparing for the holidays. Everyone who joins and leaves a comment on this post will be entered to win $50 PayPal cash and some awesome Peaceful Mom resources — woohoo!). -Contest ends October 31st, 2018 at 9 a.m. EST. My biggest challenge is planning the Big Christmas meal and give giving. I know I need to start early but tend to procrastinate. Just being organized enough to have everything done on time so I don’t panic toward the end …… what a relief that would be. I’m so looking forward to this. It’s always a challenge to decide what needs attention and I get tired of doing the same thing each (cleaning) day. Thanks for joining us Annette! Our tight budget is the hardest thing for me. We’re paying for Christmas out of our already tight grocery budget this year because there just wasn’t anything else extra. Gifts, babysitters, parties (we love to entertain), hostess gifts = $$$ I’m trying to think ahead this year and start making gifts NOW so I’m not totally stressed trying to come up with a nearly free gift for everyone in December. Thinking ahead is a smart plan Ellie! There are lots of good ideas on Pinterest that don’t cost much and maybe you can start checking the clearance sections at local stores for some inexpensive gifts. I find myself waiting until almost the last minute to make sure I have everything ready to go, gifts ordered for relatives– in time for when we get together with family for the holidays–and making sure to get an EQUAL number of gifts for each kid under the trees. (Yes, we put up multiple Christmas trees, and decorating for Christmas does take a full day, if not more.) Finding time to do fun stuff as a family has gotten to be a challenge too, with the girls’ school activities, my working 2 jobs, etc. Making sure everyone has a gift! I know the season is not about the gifts but I live giving gifts so this time of year gives me a good excuse. Still I sometimes stress myself with getting the best gifts and within my budget. My biggest challenge is doing all the “holiday things” to make fun memories for my kids, wrapping gifts, planning gifts for teachers, etc. and then never feeling like I slowed down and actually enjoyed the Christmas season. One of my biggest struggles is finding places for things that need to be put away. After looking at them for so long in their current places, it’s hard for me to find a final resting place for them (storage for later use) and find myself moving them to another space of “things to put away.” I don’t want to move one “put away” pile to another room, I want to put them away for good! One of my big problems has to do with putting away the decorations from each season. I put it off and then end up just tossing it randomly in bins, rather than in an organized way that makes it easy to use the next time I need them. Thank you for all the great information that you share. My biggest challenge is trying to fit the holidays into a schedule that already includes full time work, 8 credit hours in a Masters program (and the 20+ hours of homework that goes along with that), and being Gramma to 4 littles that live with us. The last few years we’ve not even put up a tree until within a week of Christmas — our tradition is to do that Thanksgiving weekend. 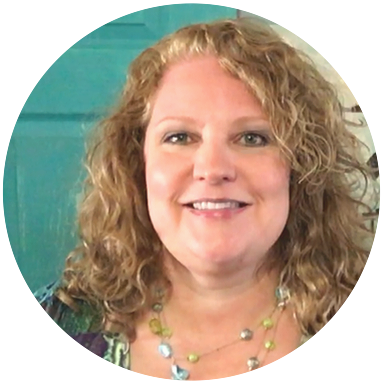 My Biggest Challenge is making sure I allow myself time to order things online for my grandbabies, kids, nieces and nephews, or if I have shopped throughout the year finding time to get all boxed and taped and waiting in line at the post office. I do send giftcards, but I do make surprises to do, just need to get me better at time and not having to take a couple of days to get it all perfect to me and out the door. My biggest struggle for Christmas is stressing over gifts. Did I buy the right thing? Will they think I spent enough? Thank you for doing this challenge! I’m one of those people who end up shopping on Christmas Eve because if it weren’t for the last minute I wouldn’t get anything done. It will be interesting to see what Christmas looks like without stress! Where do I start? With 6 kids of course budget is a stress, but time management is my biggest. I plan for and shop for the holidays all year so I am ahead of the game with that. I keep a box in my closet of gifts I have picked up when I see something that makes me think of someone. That way I don’t forget what it was, and it helps me stretch my budget. The holidays still manage to sneak up on me. I love to bake, I love to decorate. I love to have people over and attend other celebrations. My husband and I both work every other weekend, so our time is limited. Organizing and managing time is always a juggling act, and I feel like I end up dropping the balls every time! My biggest challenges are finding the time to do the decorating and cooking as well as finding gifts. I have a really hard time thinking of what gifts to give people. So now I have taken on the youth ministry at church so not only do I have to prepare at home but also at church. I am definitely looking forward to this challenge so it can help me at home as well as at church. My biggest struggle with the holidays is putting up a tree. It just seems like so much work for such a short time period. Plus, I’m over the commercial part of Christmas, because that’s not the reason for the season. I love receiving your emails. I have learned several things for you. Thank you! I decided a few years ago to skip the tree. Last year we had a small table top tree with a few fave ornaments and it was wonderful! I am not a planner and holidays have so much planning to them. If I could just show up to events, that would make my holiday the best!!! I’m with you on the love/hate relationship with October. In addition to the pre-holiday stress, we have nearly half the month full of birthdays! Every year i say, “this year I’m going to have everything ready…!” Haha, yeah. I’m looking forward to the challenges! Oh goodness Georgia! That does add some stress. My biggest challenge is decorating in a tasteful way that also accommodates toddlers and pets and is low maintenance. I get stressed out when it makes the house look messier, and it becomes just one more thing I have to clean up every day. My biggest struggle is finances. It starts off as will I have enough money to buy Christmas gifts to overspending on Christmas gifts. Also, finding the time and energy to decorate. Now that my daughter is 3 I feel I can’t really skip out on the decorating like in the past years. I am really looking forward to the holiday challenge as I always feel like I am rushing but not accomplishing what I want to. Your emails have been very helpful. The challenges are nicely broken down into manageable steps. I struggle with wanting things to be perfect so I then fall behind on the important things or don’t enjoy family time as much as I should! Definitely working on living in the moment more and enjoying the smaller things with the holidays. This is going to sound silly, but I would like to get my backed up laundry completely done before the holiday season. Also, it’s going to be a financial struggle for me this year. I’m trying to save by working extra hours, but I’m so busy, that has been very difficult. Thanks for the challenge. Hoping I can keep up! Time management during the holidays is my biggest challenge. We have traditions and fun activities planned but sometimes things get busy and we miss out on some of these special times. 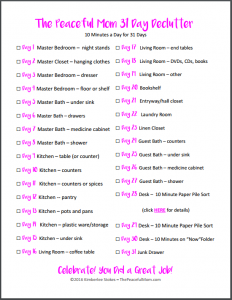 I love all your organizing and decluttering help – really need that! 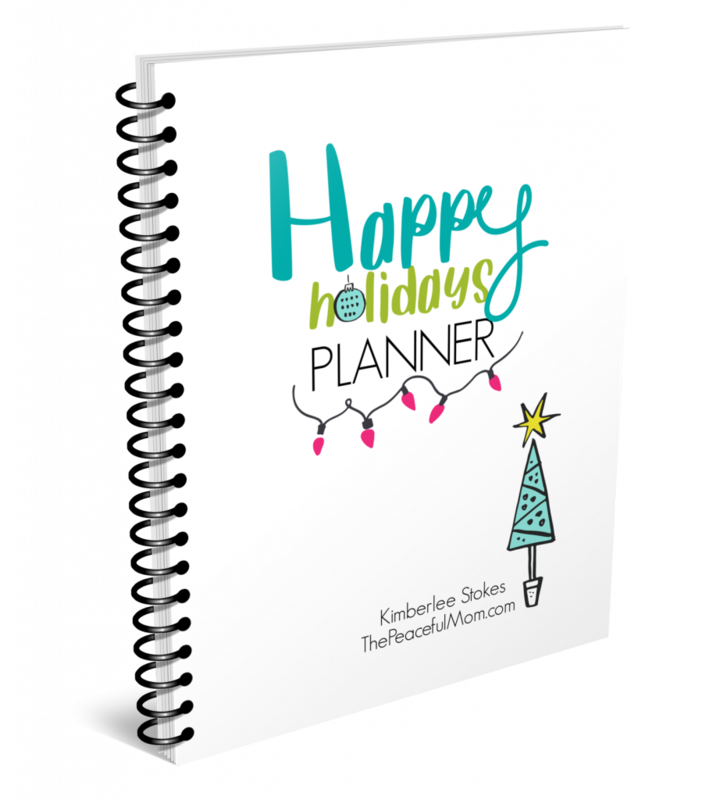 I’m especially looking forward to your Happy Holidays Planner… I’ve found it really helpful in other yesrs!! My biggest challenge is getting organized early enough. I’d love to be able to sit down & enjoy time with my family, instead of always having one more thing to do (and one more, etc!) So, I’m looking forward to your ideas! And so appreciate your emails Kimberly!! Thanks for letting me know Kathy! I have several challenges. As a lifelong procrastinator with great intentions for accomplishing so many fantastic goals for the holidays, I usually run out of time before getting them all finished. As a result, I feel disappointed that my wonderful ideas have not come to fruition once again. But I realize now that one big reason for my inability to accomplish everything I have wanted to during the holiday season in the past is because I have never actually mapped out an action plan. This year will at least be different in that aspect and I will initiate my plan of action at a much earlier date than in the past. If possible, I may even get started on Christmas projects in October so I can feel that I have been successful to a higher degree during this holiday season! A struggle I have is trying to buy meaningful gifts for some of our family members who don’t need much. I hate to buy things that will make more clutter. Also, it can be hard to actually fit in some meaningful traditions with my kids since December gets so busy. I want to do activities that line up with the true meaning of Christmas, Jesus. Sunday evening email is a highlight for me and a great (calming, focused) start for my week!!! Biggest holiday challenge is interactions; family stuff is mostly so great all year! Consolidated activity, expectations swirled, emotions, and the floor is covered in eggshells. Being extra sensitive, I work at being a duck and letting the spray run off me. I’m excited to have an organized Christmas this year with your info! My biggest struggle is having enough money to buy gifts for all the people I want to give them to and to do all the holiday activities I want. One of my challenges is looking at some things as more of a chore than a pleasure to do. And also, I need to make sure that the decorations etc are not just put out because we have always done it that way, but that I am putting out things that I love. I often love the way the house looks at Christmas, but I hate putting it all away!! My biggest challenge is sticking with my budget. I’m in and I love your emails/updates. My biggest struggle is time and choosing which family get Christmas day with me or whether i should just work it for the extra cash. My biggest challenge is the winter weather. There are so many places I would like to go over the holidays, but I always worry about icy roads, blizzards, etc. My biggest challenge is staying on budget as far as gifts go. I start early, but tend to find great deals in the last week that I can’t resist and end up buying more than planned. And there is always at least one person on my list that I have no idea what to buy for and I end up overspending on them and still not living what I pick out. I have trouble getting organized to get the things done for the holidays that need to be done. Thanks for giving us help in that direction. My biggest struggle is trying to make everything perfect, so I stress myself out too much to enjoy much. Sigh. My biggest struggle is deciding who all I should give gifts to and then getting them something they’ll use. I don’t like buying something for someone if they won’t use it. I hear you Katy! Gifts are one of my challenges too!